A very common problem of today is the imbalance of trust. You could probably think of someone you know that is suspicious of everyone, does not trust easily, and always looks for the bad. You could probably also think of someone that is the opposite; someone that trusts anyone without much question and is an “open book” for anyone that wants to read. Neither one of these extremes is healthy. How many of life’s problems could be avoided simply by putting a proper faith in other humans? We need to strive for our trust level to be in the grey, as is illustrated in the picture above, meaning that there needs to be a balance. How do we learn how to trust properly and establish healthy boundaries in our relationships? We look to the example of God and what he’s revealed to us through His word. Most people are familiar with the account of Jesus’ betrayal and crucifixion. We see that he had to suffer through extreme pain, dying for undeserving sinners, and we realize the level of love and compassion he had on the world when he said “Father, forgive them...” (Luke 23:34). But something else can also be observed from the story: our Savior gave us an example of putting proper trust in humans. Peter (and the rest of the apostles) said he would not deny the Lord (Matthew 26:33-35). Judas betrayed Jesus (Matthew 26:47). Wow. First, Jesus’ closest friends say they’ll never deny Him, then they betray him and leave him alone as he goes through the extreme torture that led to His death. Talk about heartache! I can’t imagine how painful it must have been for Jesus to be left by His friends right before His crucifixion. Of course, Jesus knew all of this would happen. But, knowing all that He knew, Jesus still did not let it destroy His purpose or change the way He lived His life. Jesus still spent time teaching these men. He washed their feet! Not one of the apostles could tell Judas would be the one to turn Jesus in (Luke 22:23)....because Jesus did not treat him any differently than the others. Jesus was still Himself and could live His life, knowing his friends would betray Him. None of what was to come caused Jesus to change the way he interacted with them or keep Him from fulfilling His purpose. He kept His focus! So back to the original question: How do we obtain a healthy balance of trust in our relationships? Look to God’s word and the example He sets for us by the nature of His being. Realize all humans have the ability to change their minds, hurt people, and make mistakes, but do not let that expectation change the way you treat others. Always be kind. Realize God is the only one that we can fully put our faith in! Keep your “inner circle” small. Most people cannot properly handle having such an important position in your life. Keep a higher focus. Strive to be dependent on God, and to be independent of other people. Your goal still needs to be Heaven, no matter what anyone else does. Keep your focus on the goal. Stay connected to other people; even the ones that are not in your inner circle or are a challenge to your confidence. Don’t be suspicious of people; just be cautiously wise. Don’t expect anyone in your life to be perfect, but give the benefit of the doubt. Remember that there are good and godly people in the church that do love you. A vital part of balancing trust with others is knowing YOUR tendencies and vulnerabilities. Be aware of those things about yourself and evaluate them in your relationships. As long as we place proper faith in humans, we cannot be destroyed by anyone, even when they try! Only God deserves your heart...give it to Him. He’ll never disappoint you. “According as his divine power hath given unto us all things that pertain unto life and godliness, through the knowledge of him that hath called us to glory and virtue:…” 2 Peter 1:3. We know that Peter is writing to Christians. It should be noted that the word “pertain” is in italics therefore not in the Greek text. In reference to the preposition “unto” (πρός) Bullinger states, “πρός governs three cases (the Genitive, Dative, and Accusative), and denotes to, or, toward, implying motion onward. Its general meaning with the three cases is the motive - as in consideration of (with the Genitive); in addition to anything - as an act (with the Dative) with a view to anything - as an end (with the Accusative).” (The Companion Bible). This preposition has an accusative object and according to Louw-Nida, it is “a maker of a relation involving potential interaction – ‘with regard to, with, between….” (89.7n; Cf. BAGD, p. 710). Guy N. Woods states, “This verse is a clear affirmation of the sufficiency of God’s revelation to man, as well as an unmistakable assurance that every need of every kind will be supplied.” (Gospel Advocate Commentary on Second Peter, p. 148). From one who sought to find answers to his life as a Christian this verse helped me with a past that kept robbing me of the peace that I am to have as a Christian. I sought for answers and found them in God’s revelation to man. Peter uses the word “knowledge” which is from the Greek word epignosis. Thayer states, “epignosin “precise and correct knowledge.” [p. 237]. Trench stated, “…greater and more accurate knowledge … deeper and more intimate knowledge and acquaintance … the complete comprehension after the first knowledge [gnosin] of a matter. It is bringing me better acquainted with a thing I knew before; a more exact viewing of an object that I saw before afar off.” [p. 300]. Paul’s assurance can be seen in 2 Timothy 4:17, 18, “Notwithstanding the Lord stood with me, and strengthened me; that by me the preaching might be fully known, and that all the Gentiles might hear: and I was delivered out of the mouth of the lion. And the Lord shall deliver me from every evil work, and will preserve me unto his heavenly kingdom: to whom be glory for ever and ever.” We like Paul can say, “I know whom I have believed.” 2 Timothy 1:12. The word “know” is from the Greek word οἶδα and the word “believed” is from the Greek word πιστευω and both are perfect, active, indicative. Being in the perfect tense “describes an action which is viewed as having been completed in the past, once and for all, not needing to be repeated.” [Pierce, Tense Voice Mood]. What does all this mean? The perfect tense marks it as a settled matter. God will deliver us from all the things that pertain to this life so we can have that “…peace of God, which passeth all understanding.” Philippians 4:7. We are to “….trust…in the living God, who giveth us richly all things to enjoy…” 1 Timothy 6:17. Jesus said to the apostles, “Peace I leave with you, my peace I give unto you: not as the world giveth, give I unto you. Let not your heart be troubled, neither let it be afraid.” John 14:27. That is the peace I so desire. God has given us everything that we need in order to live this life in this world. God’s word has the power to produce a new life for anyone. James said, “Of his own will begat he us with the word of truth, that we should be a kind of firstfruits of his creatures.” James 1:18. Peter stated, “Seeing ye have purified your souls in obeying the truth through the Spirit unto unfeigned love of the brethren, see that ye love one another with a pure heart fervently: Being born again, not of corruptible seed, but of incorruptible, by the word of God, which liveth and abideth for ever.” 1 Peter 1:22, 23. Paul said, “Therefore if any man be in Christ, he is a new creature: old things are passed away; behold, all things are become new.” 2 Corinthians 5:17. Our Lord came to this earth so that we might have an abundant life. John 10:10. We obtained that life through Jesus Christ. John 20:30-31. In this life, the Christian has the promise of eternal life through Christ. 1 John 2:25. We live in an age of doubt! We need to understand that the Scriptures are “God-breathed.” 2 Timothy 3:16-17. However, we need to understand that this Scripture teaches us things that are profitable. What is right (“doctrine”)! What is not right (“reproof”)! How to get right (“correction”)! In addition, how to stay right (“instruction in righteousness”)! Therefore, the Scriptures give the Christian all things that pertain to this life. The Scriptures are factual and authoritative. I am the first to admit that I feel this from time to time. It's Sunday morning and it's time to get up, take a shower, get dressed in "nice" clothes and attend the worship service of the local church of Christ and I just don't feel like it. Maybe it is because a lack of spirituality in my life at that time, maybe it is because I am dealing with some inward conflict or it might be because I know that I am likely to be convicted by something that God has said or the attitudes and examples of my fellow brethren. Whatever the cause, the statement that comes out is, "I just don't get much out of worship." I wonder if you've been in the same boat at times? You don't have to answer that because I know that you have! We all have. We might not have said it out loud, we might not EVER admit it but we have all felt this at times. But I don't think that statement is in and of itself a bad thing because it shows a longing in one's heart to "get something out" of the worship service (cf. Psalm 63:1-5). He wants to worship correctly (i.e. in spirit and in Truth - John 4:24) but feels as though he is not able to because something is holding him back. He wants to feel as though he is fulfilling his earthly duty (Ecclesiastes 13:12) but something, whether that be his heart or physical stresses, is standing in his way. However, that feeling fails to realize a few points. Worship is active and action produces satisfaction. Have you ever wanted the results of working out without the actual effort? It's the same concept. Worship (namely: prayer, singing, taking the Lord's Supper, giving and study) takes effort on our part (Philippians 4:6, Colossians 3:16, 1 Corinthians 11:26, 2 Corinthians 9:2, Galatians 1:6-10) and that effort will result in the satisfaction that we are seeking when we say something like "I just don't get much out of worship." A person that is active in ministry and worship will not only be productive for Christ, but he will reap the earthly benefits of such. True worship results in a better atmosphere for the future. The Hebrews writer made it very clear that gathering for worship with the correct intent and end in mind results in the church's being edified (Hebrews 10:24-25). Paul stated that worship results in a better me (Philippians 4:6-7). And it even produces a stronger family (Ephesians 6:4) - A family that worships together, stays together! Now, which of those results is a detriment to the future? The answer is absolutely none. Not because just going to worship and punching a time card, if you will, has any lasting effects, but because the active worship of an individual produces actual blessings in his life! Remember, it isn't necessarily wrong to think "I don't get much out of worship" but it is wrong to think that that feeling negates the necessity of our putting our all into worship. When we realize these things, we will be able to see that we get out of worship only when we put into worship. There are many ministries that are near and dear to my heart in addition to the PFP. One of which, and probably the most important outside of my worship to God and faithfulness to His Word is that of foster-care. My wife, Rebeka, and I have been working with the Georgia Department of Family and Children Services now for about two years from the time we first began our journey into foster-care until now and because of our involvement we have learned a lot about ourselves, our fellow man and our Lord. In what is probably the biggest motivation to ALL Christians in opening their homes to foster young children, James made it clear that Christians take an active roll in helping those who are in need. There are currently about 500,000 children in "the system" in the US with only about a tenth of that number foster parents (50,000). Friends, there is a tremendous need for these children to have loving, protective homes and as Christians it is our responsibility to step to the plate if we are able. How many times are children mentioned in the New Testament alone? (The word is used over in over 200 verses) Christianity has a very special place for children because God wants us to become as babies (Matthew 18:3), take care of children (James 1:27) and even protect our children with our lives (cf. 1 Timothy 5:8). However you look at it, children are important to God, and therefore they ought to be important to us. When we began our journey into foster-care I had a faint idea of this fact but it wasn't until we "got our feet wet" that I truly saw the influence one Christian family can have on the lives of those who are lost. By becoming foster parents we've been able to host IMPACT (foster-parent training) at church buildings owned by the church, met forever friends and been able to let them see what the church really is without the sigma and presumptions so many have today, affect the lives of our children's biological parents by mentoring and counseling them through their trials and temptations and much, much more! Remember, evangelism isn't just sitting down across the table with an open Bible and teaching a person some Biblical principle or the history of Christ's church, it is also living as a beacon of light in this horribly dark world! Nothing has been more enriching to my faith than this experience! Yes, we've been put face to face with some very difficult situations and my blood boils at the thought of what some children have had to endure, but I've also learned of the love of God and the ability for people to change. I've met children who have been through more trauma than any person should have to be subjected to or even read about but I've seen how, with God's grace, we can overcome our pasts to live productive lives. I've seen people working together to help those in need. And while I will be the first to admit that "the system" is broken in places, I've seen how it can, with effort from those who truly care, make a difference. I'm not one to sugar coat this issue. 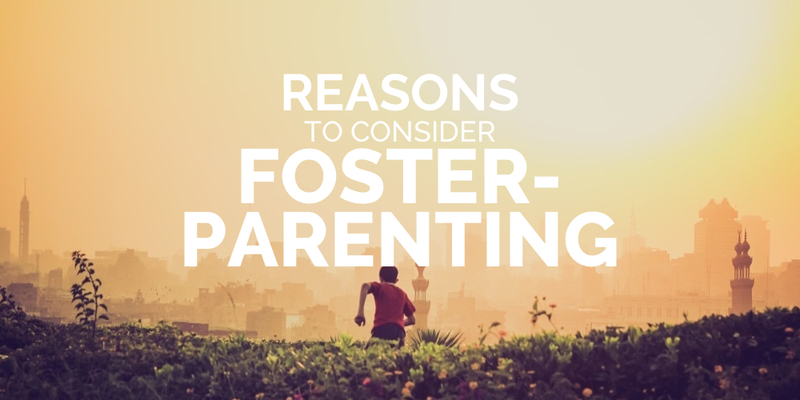 Many of you are not cut out to be foster-parents, I know that. It takes a specific type of person to make it through with your hairline intact. But let me encourage everyone who reads this to do your research, contemplate what it will take, count the costs and at least consider becoming a foster-parent for your local state-run foster care department. It will change your life and it will change the lives of others! When Paul and Barnabas had returned from Jerusalem to Antioch, before they could seemingly take a rest (isn't it great that some times God's Will keeps us going from work to work but will always give us ample opportunity to rest when we need it? 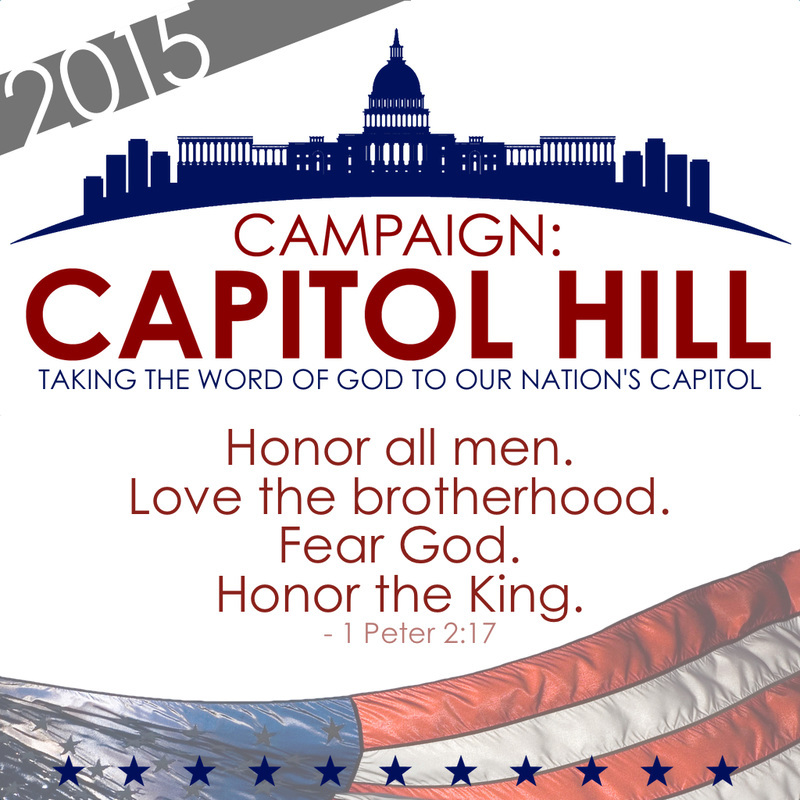 ), God had spoken yet again and sent the brothers on yet another mission. But, this mission would be different from the previous. Instead of a journey primarily pointed at encouraging Christians (Acts 11:22-23), this mission would be for the express purpose of gathering people to Jesus Christ (Acts 13:1-3). While the word literally means exactly what you might be thinking, to "set off by boundary" (Strongs') or to "appoint, set apart for some purpose" (Thayer's). I believe it gives us a picture into something very needed in today's world. You see, Paul's purpose in being an apostle was actually given by Jesus Christ. Namely, to preach the Gospel to the Gentiles (Acts 22:21). I'm reminded of a time in small town Alabama when a woman down the street needed some weeds pulled from her front yard and she decided to hire the little boy from down the road to do the work for a minimal fee and give him something to do instead of playing Ding-Dong-Ditch on all of the neighbors. She set him to work and went inside, but only after saying, "I'm trusting you to get this done before lunch. If you do, I'll give you $5!". A few hours later, the weeds were pulled and the boy had some pocket change. The woman was somewhat taken aback that this young man had actually completed the task given to him without wavering and being distracted. As if promising a boy no older than twelve that he would have enough money to buy candy wouldn't cause him to work as fast as humanly possible. That woman could depend on that boy from then on and would hire him for small jobs around her house until he would graduate high school. Basically because she knew the work would get done in the way she set forth. When the Lord told the Antioch Church of Christ to separate Paul and Barnabas it was because He knew they would get the work done in the way He wanted it done, and the Christians agreed (seen by their "laying hands on them" in a sign of approval and trust - Acts 13:3). 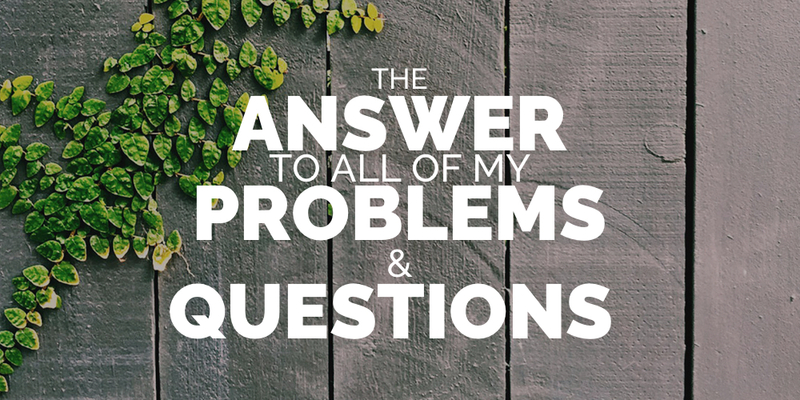 Here's the question that we need to internalize, can God depend on me like He could Paul? Am I trustworthy enough for God Almighty to be able to give me a job and know that it will be completed to the best of my ability? The simple fact is, He has given us a job to do and He fully expects us to finish the job! That job is much more important than a little light gardening, so shouldn't we take it as such?